Examples, videos, worksheets, songs and solutions to help Grade 6 students learn how to classify triangles based on sides and angles. 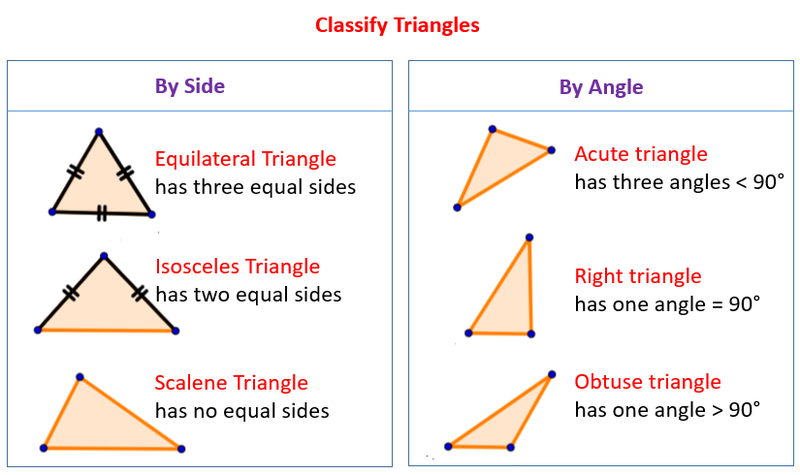 The following figures show how to classify triangles based on sides and angles. Scroll down the page for more examples and solutions. Learn to classify triangles based on sides and angles.